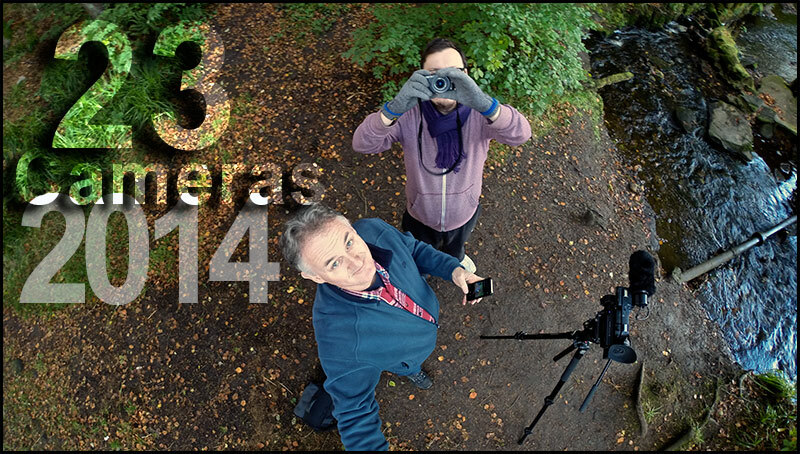 In the last hours of 2014 its time to reflect on 2015 and what camera manufacturers may have to offer…this will be a bigger year for 4K enabled products, Sony will possibly bring out a 4K internal recording DSLR. 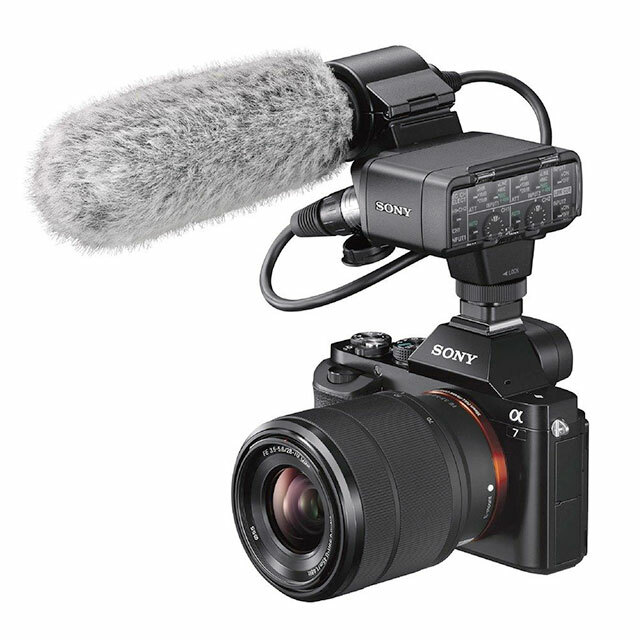 How Sony can top the FS7 is anyones guess though Sony would do themselves a favour by reducing the cost of their XQD cards. 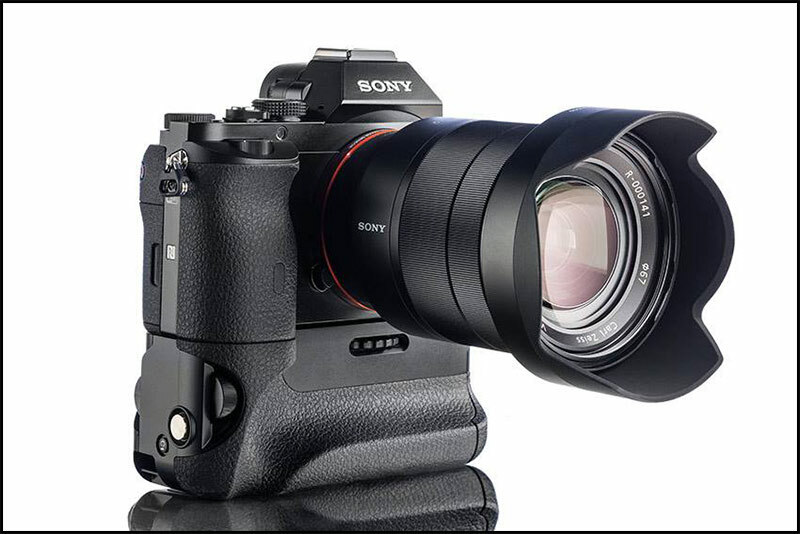 Sony may bring out a 4K shoulder mount like the PXW X500, 4K should not be specific to the large sensor market. 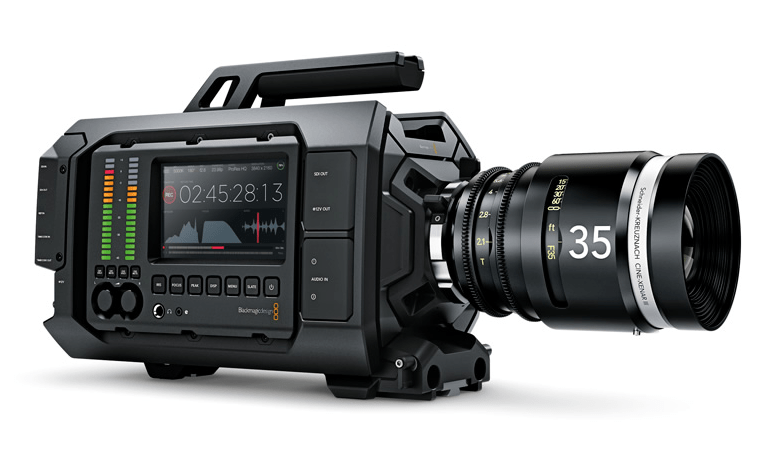 Panasonic would do themselves a favour with a 4K AF101 or a 4K PX270 after all if they can justify a semi pro HC-X1000 4K camera the next step is obvious, I personally think P2 has had its day so either dramatically drop P2 in price or drop it completely. The GH5 should sport 4K 50p and needs to bring down the noise levels in line with Sony’s A7s. 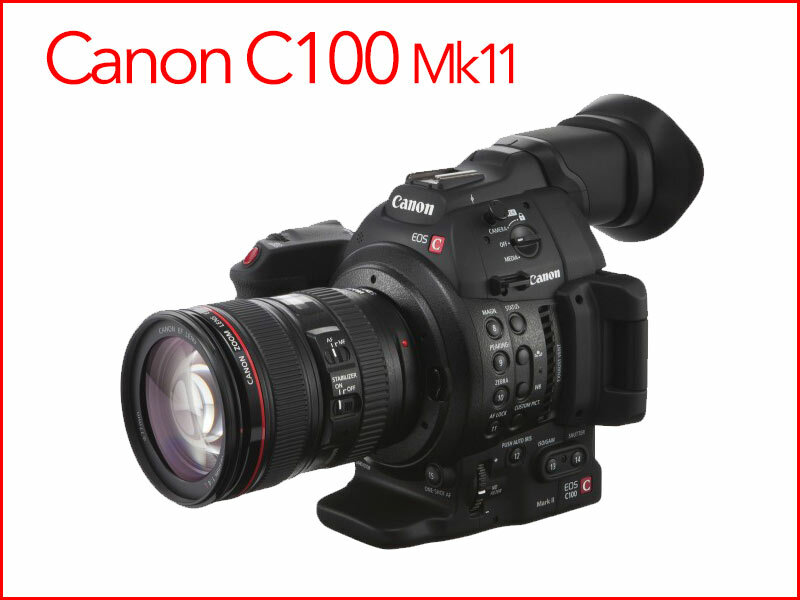 Canon are so far behind with their recently announced C100 MkII they need a fairly big announcement like a C304 internal record 4K 50p 10bit 444 camera with on board XLR’s at a price less than the Sony FS7. 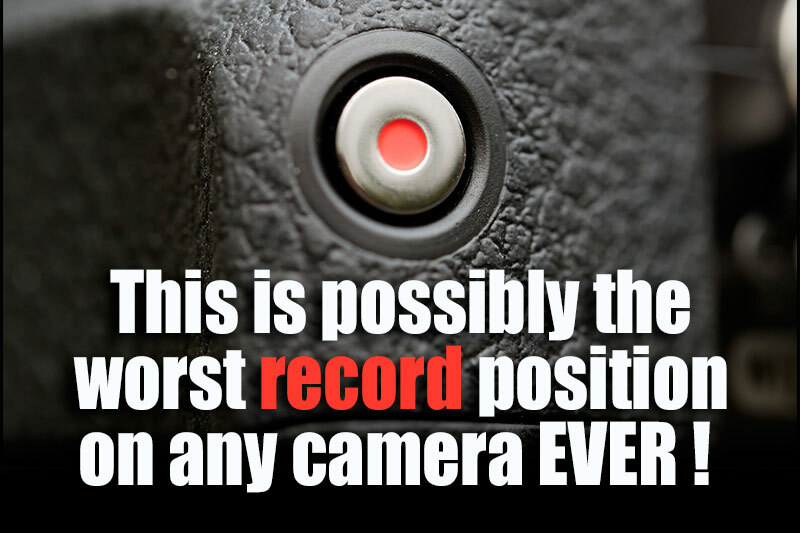 They also need to enter the mirrorless DSLR market or forget video as a feature. 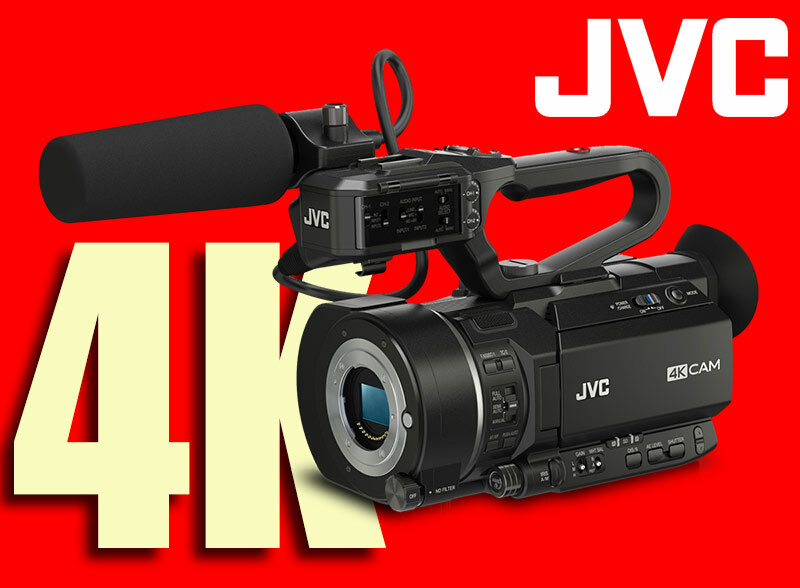 JVC have entered the 4K domain and I hope to have a look at the GY-LS300CHE Super 35mm camcorder in the new year, this camera records to non-proprietary SDHC and SDXC media cards in a variety of image formats including 4K Ultra HD, full HD with 4:2:2 sampling, SD and web-friendly proxy formats. It features JVC’s 4K Super 35mm CMOS sensor combined with industry standard Micro Four Thirds (MFT) lens mount. JVC’s unique Variable Scan Mapping technology maintains the native angle of view for a variety of lenses, including Super 35, MFT and Super 16. As a result, lens options for the camera are almost limitless. 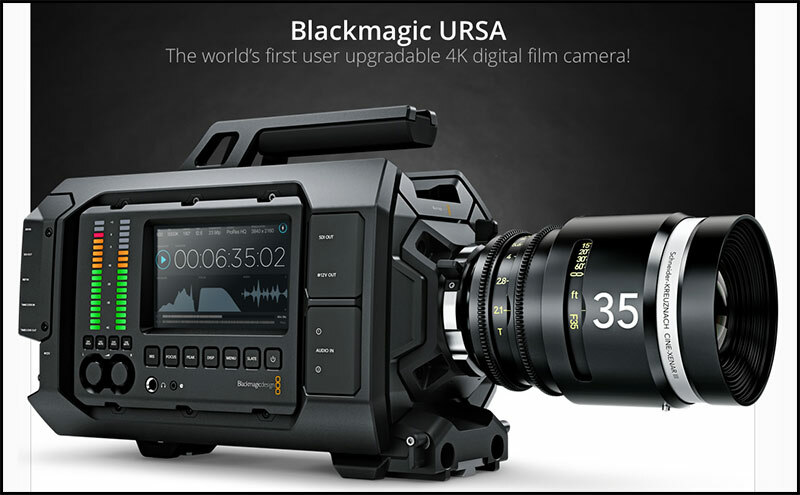 Blackmagic have had a fair year but the URSA is not flying off the shelves as I thought it would especially at the price of £4000, is it the 7.5 Kilos or the special CFAST 2.0 cards costing £500 for 120GB. I have no idea what BM have on offer this coming year but you can be assured it will be interesting to say the least. So that just leaves Sony to bring us the 4K firmware update (FW) for the PXW-X70, though I don’t understand if the AX100 comes standard with 4K built in why the X70 needs to wait for a FW upgrade ? Will it be 4K 50p ? FW update for the Sony A7s allowing us to use the shutter button for recording video ! Sony to finally bring out a hand held 4K camcorder that has a constant aperture lens ! FW update to allow Panasonic GH4 users to see how much total record time you have on your SCXC card ! Apple FCPX to finally allow X70 users to import XAVC LongGOP footage. During February 2012 Exposure Room went bust leaving holes in many bloggers video postings, this video went missing till this evening when I happened to come across an MP4 SD copy. The Sony F3 was the start of the video manufacturers fight back over the DSLR with shallow depth of field large sensor camcorders…so sit back and enjoy its first screening in almost 4 years. 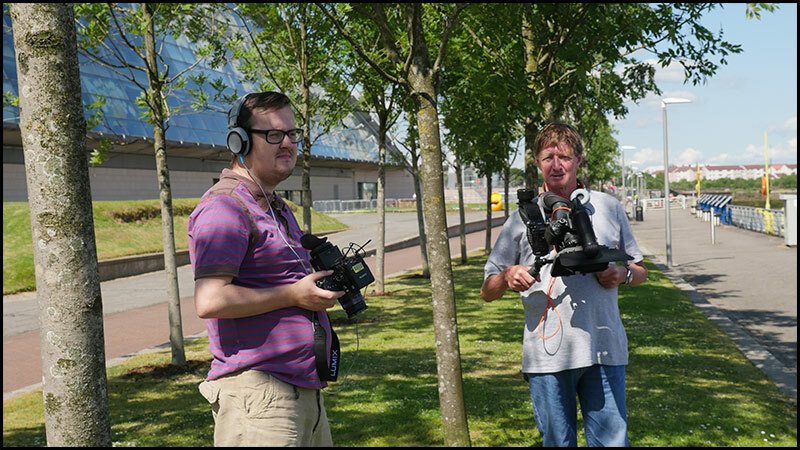 This was the last job I used my Canon C300 on, producing a wee doc for Glidetrack along with my Panasonic GH3 as a 2nd camera. It was the second cameras pictures that convinced me that my C300 was on its last shoot. Limited to 720 50p the C300 was becoming a real bind, a camera that should have started out with 1080 50p…instead limited to 1080 25p… it’s final downfall. 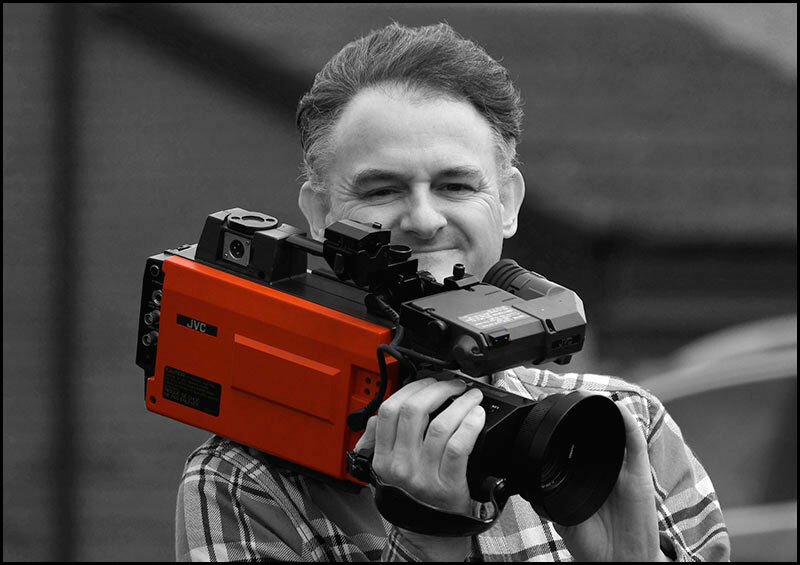 Let me take you back 25 years my boss Chris Attkins told us that “in order to produce the best end result you need to film with the best quality you can afford” in those days we had Sony lo-band Umatic recorders and orange JVC KY1900 cameras. So that’s why the C300 was sold it was becoming very limiting filming 720 50p and the sooner I sold it the more I would get for it as the Panasonic GH4 was just round the corner. The Panasonic GH4s duly arrived along with my Panasonic PX270 camcorder. 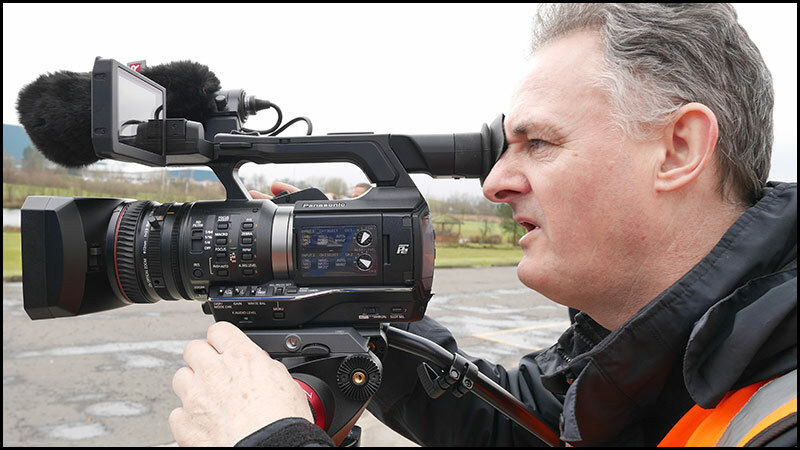 The PX270 was used in a couple of news storys, one of them was at Celtic Park when the new manager Ronnie Deila arrived, using LongGOP 50, 1080 50p the results were very good indeed especially onto SDHC cards. The PX270 was made for this type of work, this is where the DSLR falls flat on its face. You need a variety of quick, varied shots on a news story and sometimes at the end of a 22x zoom, you don’t get 22x servo zoom lenses for DSLRs…certainly not one that’s practical. My two Panasonic GH4’s arrived and were as good as I had hoped they would be, one had the XLR adapter called the YAGH which was almost as dear as the camera itself. The other one was rigged out for run and gun using the new hybrid digital Sony radio mic system. 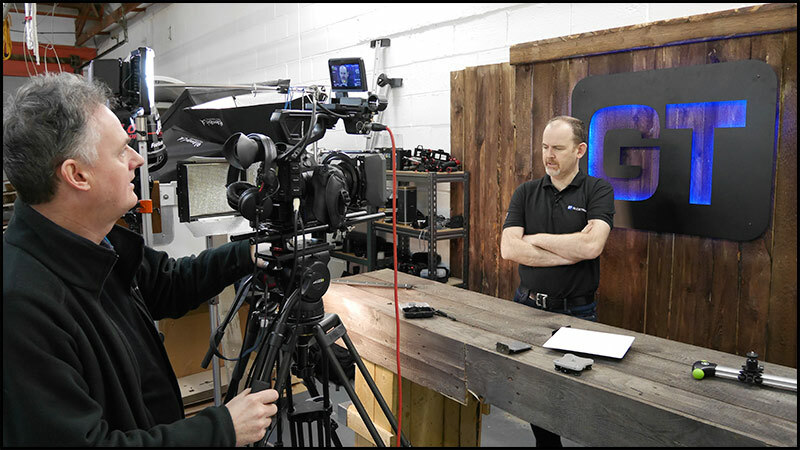 The Cambo rig was used during the GH4 review and sadly returned to Charles at Cambo UK after the review. Having 2 matching cameras was a major bonus but unfortunately that did not last long as the GH4 was fantastic in most areas it lacked in one critical mode…low light. Set the GH4 to 6400 iso and you are in noisy picture land this was never so illustrated when filming in dark low lit restaurants, hence the reason for getting rid of one of my GH4’s. In it’s place came the sought after Sony A7s… now this camera takes low light filming to a new level, forget 6400 iso this camera works at 12800 iso with little to no grain and it goes all the way up to 409600 iso with lots of grain. So that’s almost 2014 kit wise apart from the Sony PXW-X70…once again I had to sell my PX270 in order to afford the X70 but why…both cameras are 10bit 422 so what drew me to the X70. I think Alister Chapman drew me to this camera with his comments about how good the pictures were and his video was relatively grain free, having had the camera for a few weeks now its proving its worth and its the only video camera to date to match a GH4 for outstanding quality and I was not expecting such a performance out of such a small camera. I still remember the first interview I did with the camera when I watched the shots back at base my jaw dropped at the clarity, grain free solid picture, stunning to say the least, something I had only seen from my PMW-350 which cost me £10K upwards. 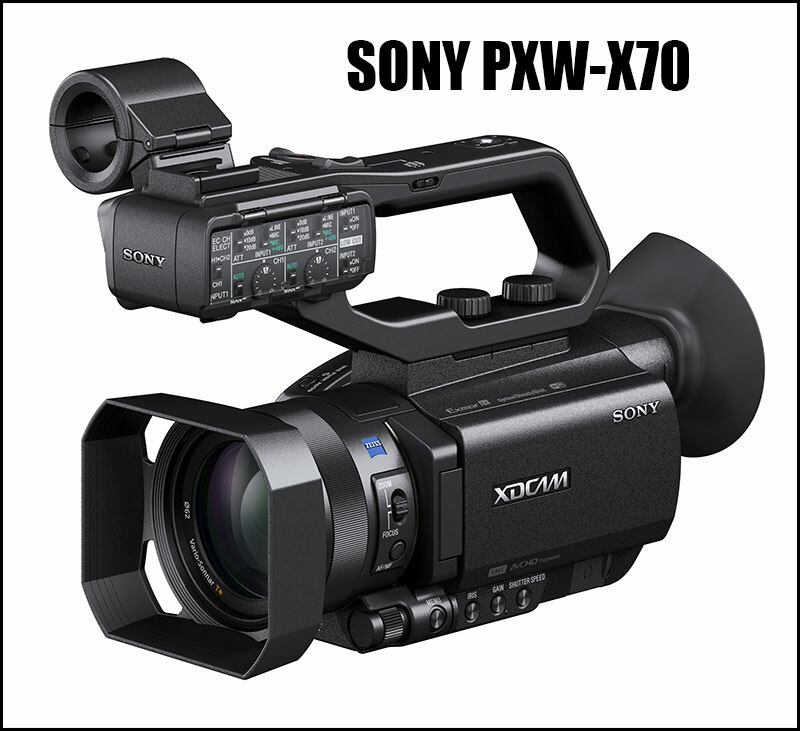 Every so often a camera appears that defies all the odds and the Sony PXW-X70 is one of those cameras. What about 2015 well as they say in all good books thats another story. As users we have asked you on countless occasions to fix this… 2 FW upgrades later and we are still stuck with this absurd record button in the worst position imaginable. Did anyone try to use this before you sent your drawings for approval…no ! 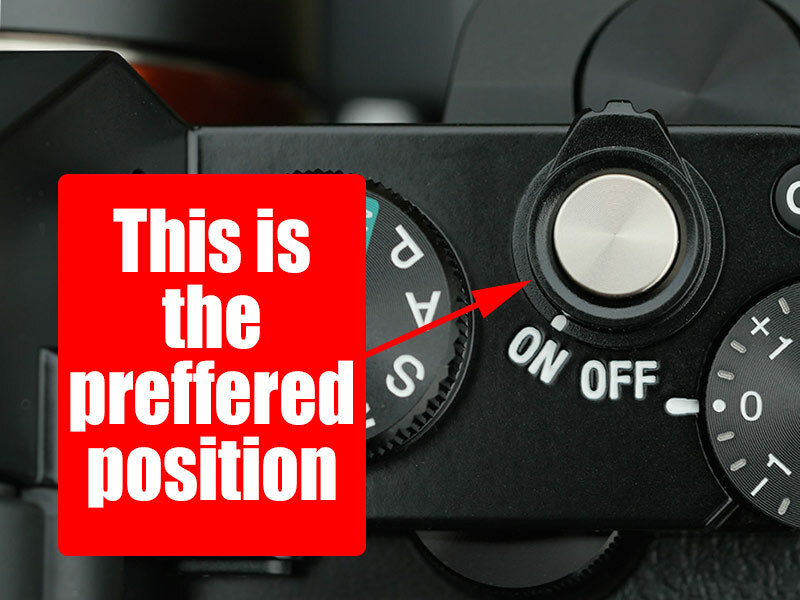 If you are forced to use this REC button you are forced to move the camera in a sidewards motion destroying every start/stop you record. You have a team of software geniuses who could re-program the record button to work from the shutter button…the same as we get with our Panasonic GH4. 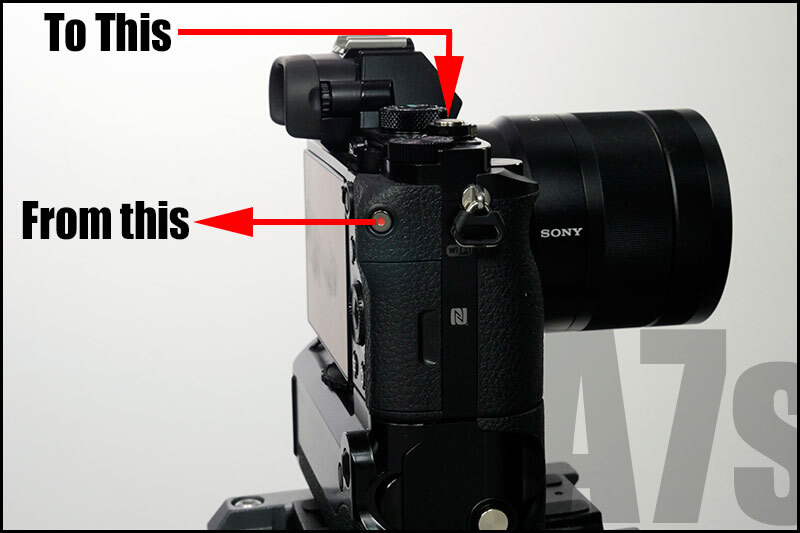 It’s not rocket science Sony…it’s the most requested single feature all A7s users would prefer…please attend to this early 2015 please…you have been asked nicely. A simple menu option will suffice giving the end user the option..button 1 (side), button 2 (top). 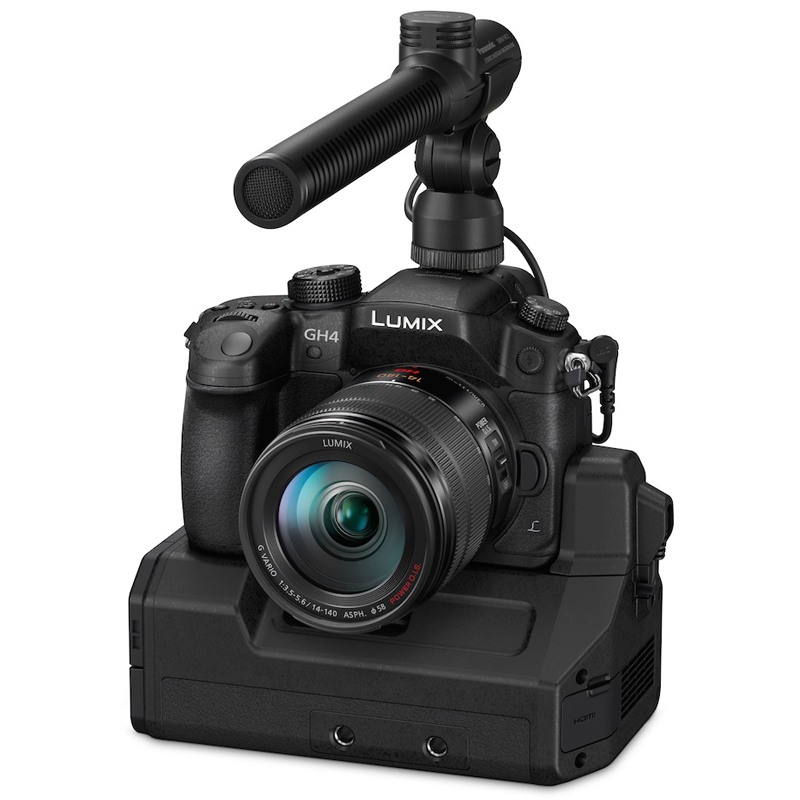 At the beginning of July I was filming my final links for my GH4 review with 2 GH4s and a GH3, the Panasonic GH4 with YAGH (XLR adapter) was to be a watershed in DSLR filming, finally we had a DSLR fit for purpose. Sony introduced the PXW-X70 422 10bit camcorder that was to cause a stir with XAVC Full HD running into SDXC cards and upgradable in 2015 to 4K. 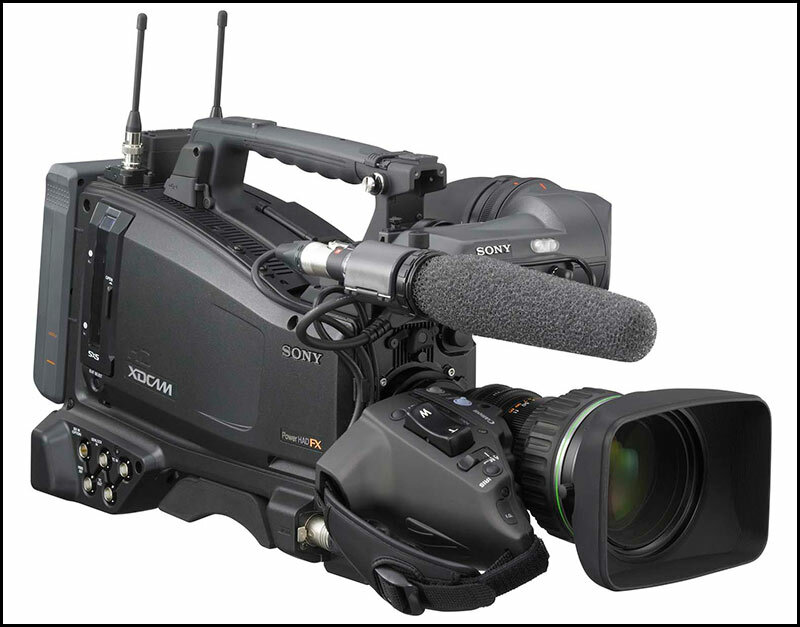 August brought further announcements from Sony with the PXW-X500 broadcast shoulder mount and the HXR-MC2500. 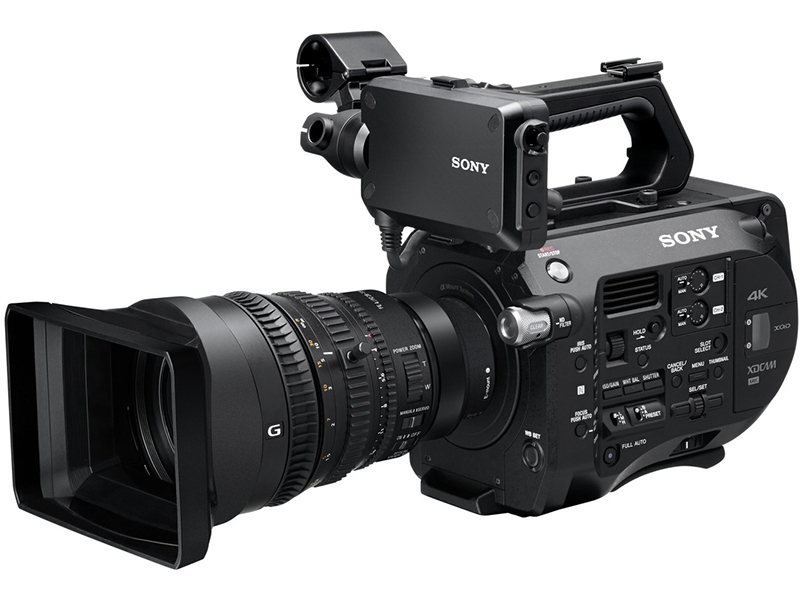 12th September brought a momentous announcement at IBC, Amsterdam, with Sony’s Show Stopper the PXW-FS7 422 10bit Super 35mm 4K camera with optional servo zoom lens. 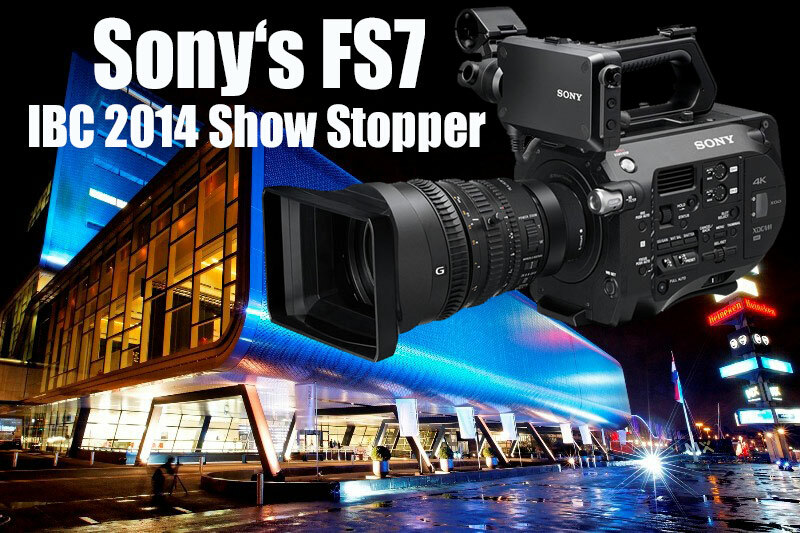 Even as I type the FS7 is still on backorder with lens versions not due till January 2015. 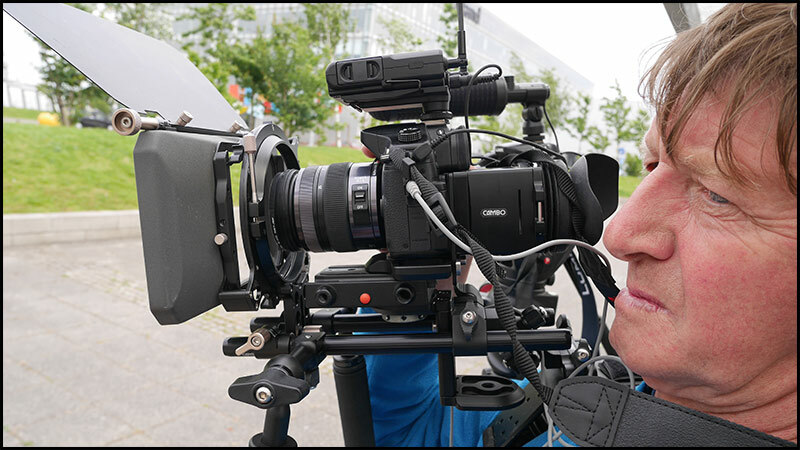 IBC had a few camera launches with the JVC LS-300 4K camcorder, Panasonic announced the HC-X1000 Semi Pro 4K camcorder and Ikegami announced the HC-HD300 shoulder mount camcorder. 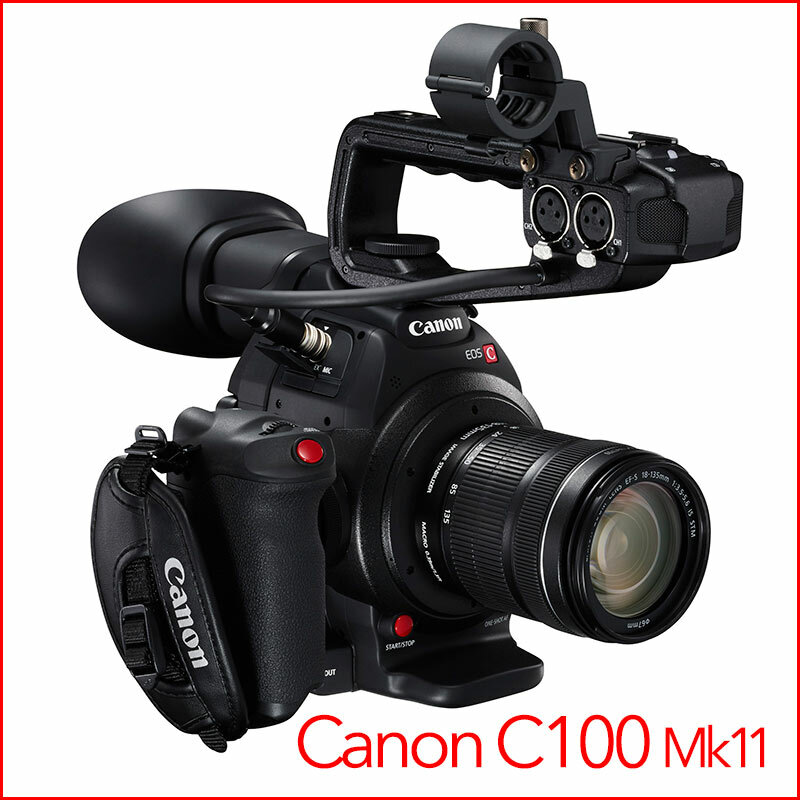 October brought a re-engineered Canon C100Mk11 finally with Full HD 1080 50p but sadly sticking with AVCHD recording. During 2014 I went from the Canon C300, JVC 650 and GH3 to mid season buying the Panasonic PX270 ending up with 2 GH4s, Sony PXW-X70 and selling a GH4 to buy a Sony A7s. I soon discovered the low light shortcomings of the GH4 which is why I bought the A7s and have been waiting for over 6 weeks for the Sony XLR-K2M adapter kit to bring it up to spec with the GH4/YAGH. I will go into detail in my next blog the in’s and out’s of my various kit I have owned this year. It’s been an interesting year for video producers like myself starting off with a Canon C300 and Panasonic GH3, ending with a Panasonic GH4, Sony A7s and a Sony PXW-X70. 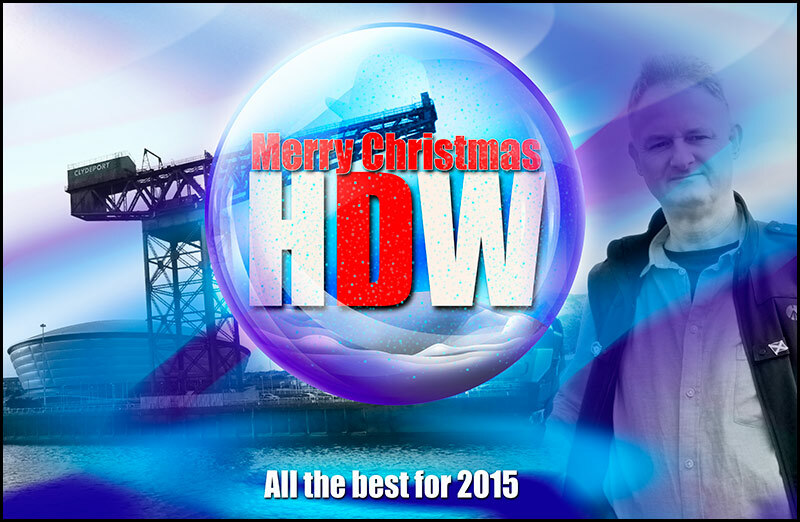 The second part of my Review of 2014 will come this week but it’s now Christmas eve in Glasgow so I will take some time off and wish all the best of the season and a great 2015. 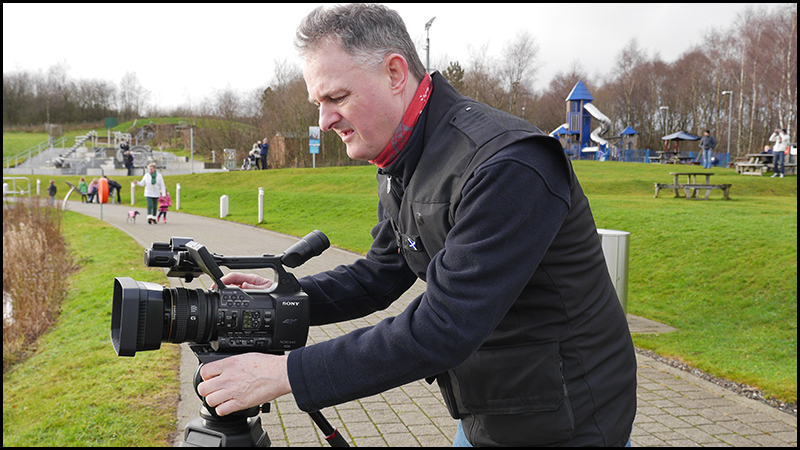 2014 started off with my review of the Sony PXW-Z100 4K camcorder at the Falkirk Wheel, this was my first taste of 4K 50p pictures but record times were shocking, Sony supplied one 32G XQD card which gave you 7m of record time. Even 4K 25p only gave you 10m totally unpractical. Low light on this camera is not recommended, on the positive side you got a cracking HD picture producing 422 10bit footage. 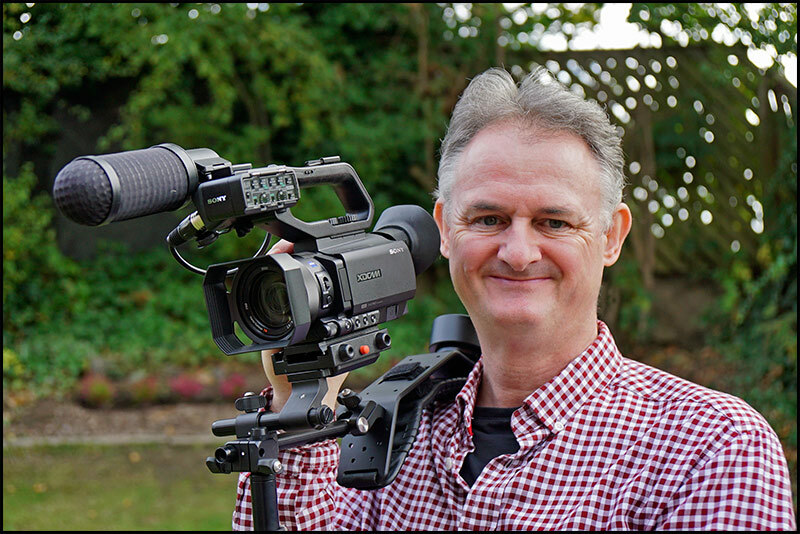 Also during January we started filming a documentary for Glidetrack, this was to be my last outing with my Canon C300, a great workhorse but I was ready for my move over to the Panasonic GH4 after seeing my second cameras performance during Alastair’s interview my GH3 I was convinced the C300 had had its day. 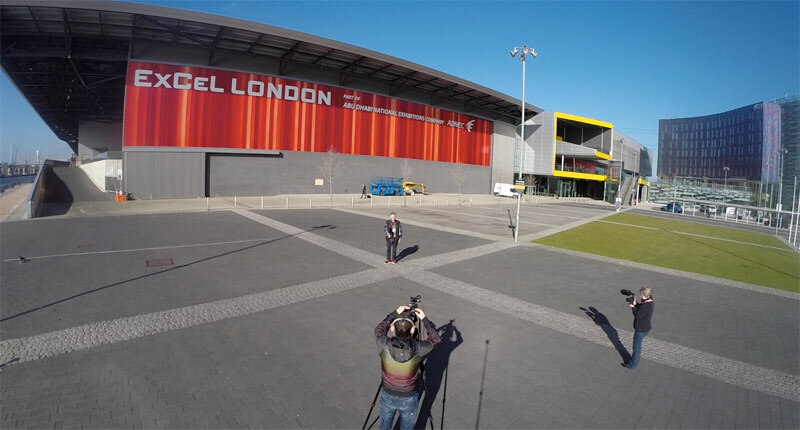 Then during February a trip to BVE in London where we filmed with a Panasonic GH3, Sony NX30 and a GoPro 3. 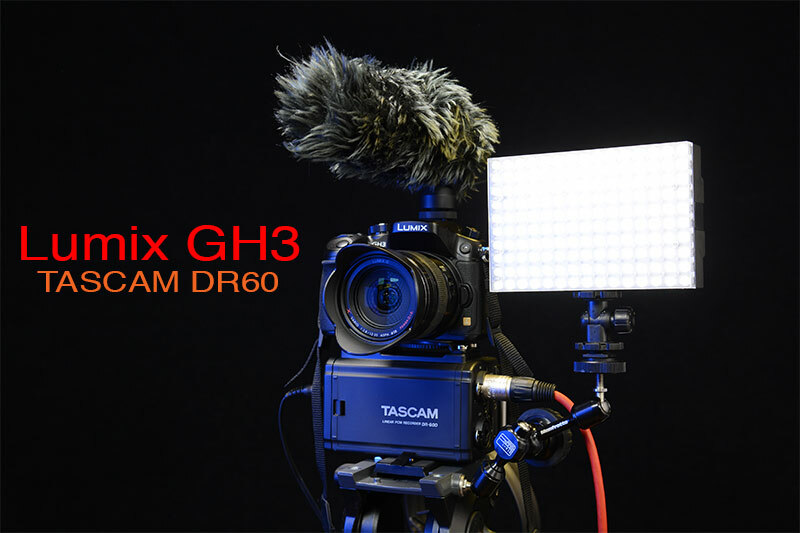 The small form factor of the GH3 was to prove invaluable getting interviews along with the Tascam DR60. It was April before I got a taste of the Panasonic AJ-PX270 a fantastic camera that I had a play with during BVE, the 10bit 422 specs made me buy one of the first PX270’s and what a joy. The secret to the PX270’s picture quality was the LongGOP 50 setting which in this particular camera was the sweet spot for amazing 1080p footage. The downside was the inability to ingest LongGOP footage into FCPX and that took a further 8 months to cure ! 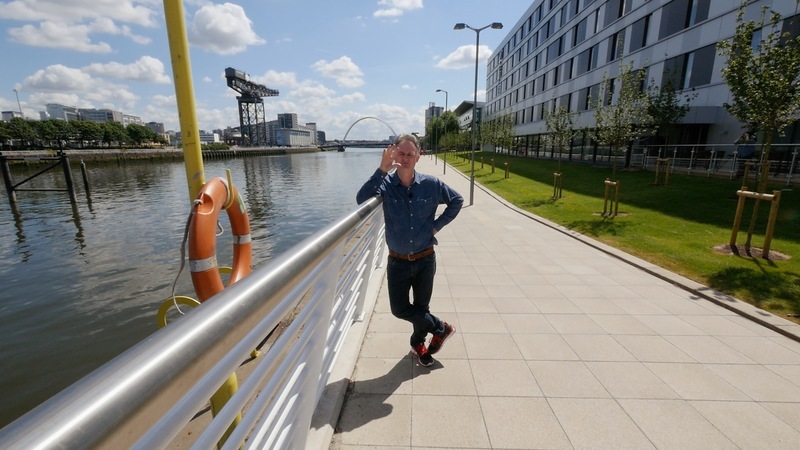 During my user review of the 270 I wangled a trip to Glasgow Airport to film a new Emirates A380 airbus arriving and we also go to see the luxurious passenger deck. 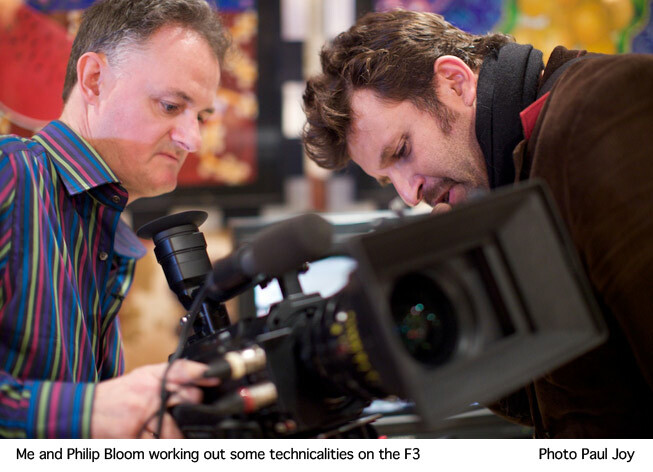 April is also the time for NAB and the big story of the show was Blackmagic’s URSA camcorder. It is a bruit of a camera weighing in at 7.5Kg without lens and battery pack ! 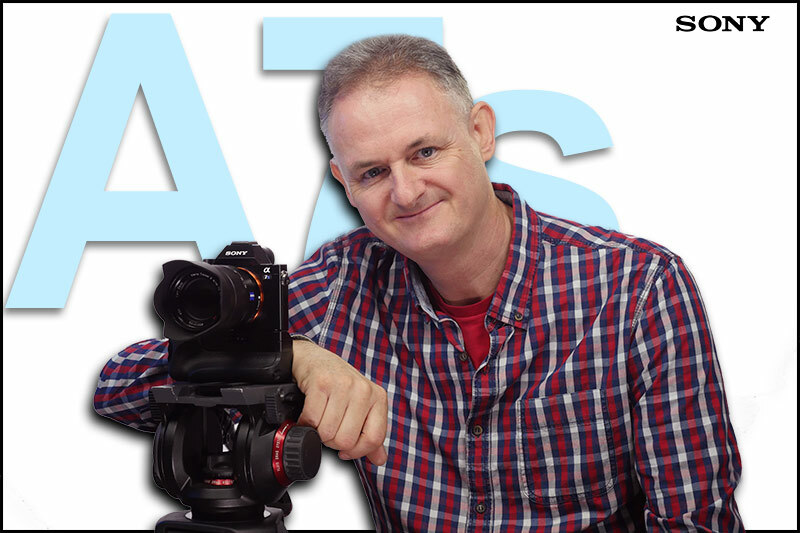 May was the month for my GH4 video review, I was the first person in Scotland to own 2 GH4’s which became very handy as I did not care to compromise on the filming using a GH3. 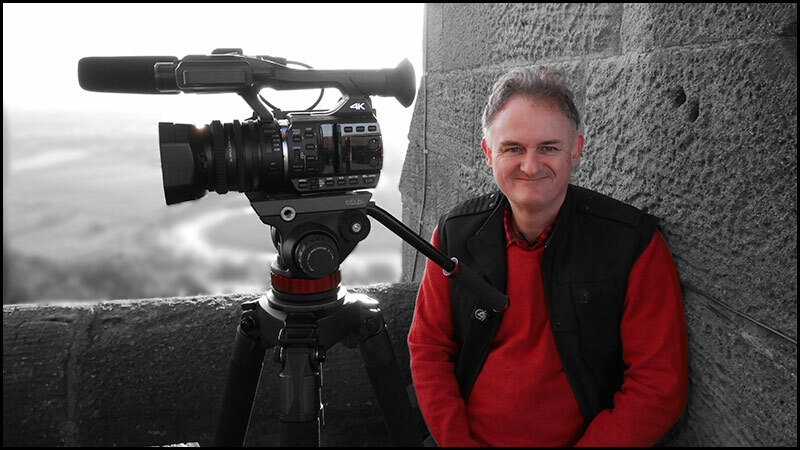 This is me up Carlton Hill in Edinburgh, where I shot some fantastic footage for the review. The GH4’s are cracking cameras once again producing some of my best 1080p footage to date, the increased quality of the mirror less viewfinder was one of its strongpoints though I came to admit adding a loupe to the LCD gave you such a better defined picture to focus with. During June I was asked to step in to produce a 2 day event called Tallent Fest, using a GH4 and my PX270. We also had a crew from ITV’s Shiver as you can see cameras everywhere. 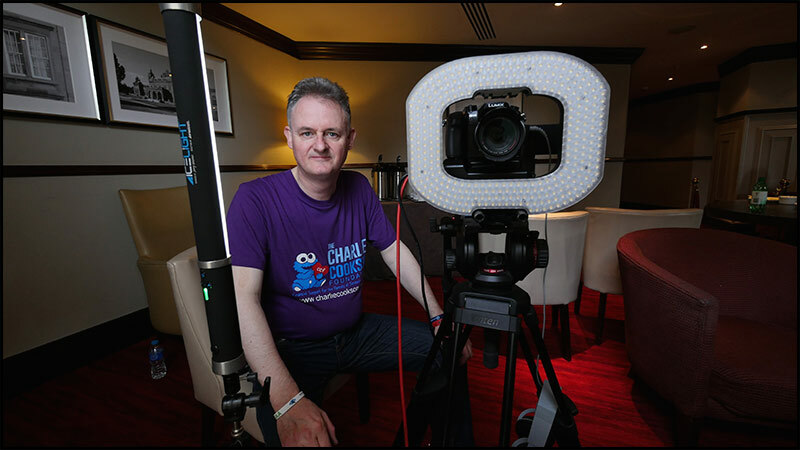 I was producing interviews with my GH4 in another room and using my LEDGO ring light. Double click on one of my interviewee’s to see the 1080p picture from the GH4. So far I started the year with a Canon C300 and a Panasonic GH3 and by the end of the first 6 months had two Panasonic GH4’s and a Panasonic PX270. Amazing, 23 cameras arrived or announced during 2014, seven reviews which is a record and HD Warrior now over the 4 million mark…fantastic. 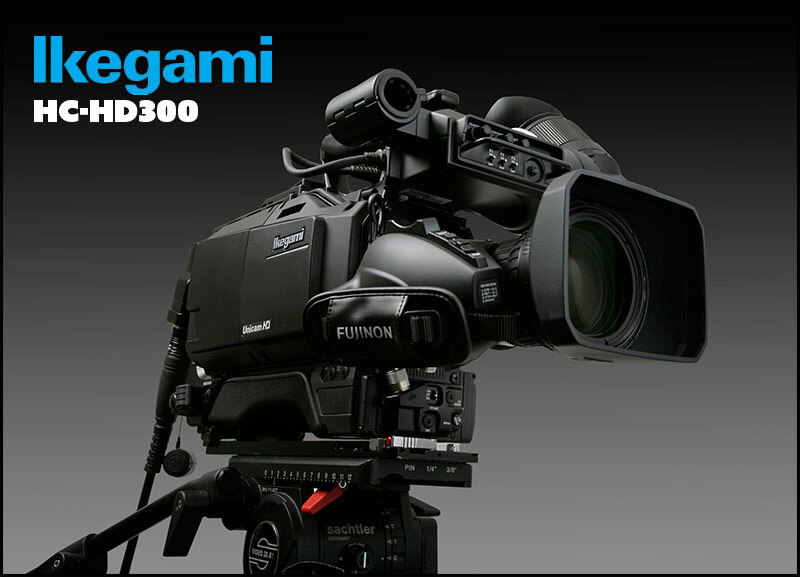 First announcements of the Panasonic GH4, Sony PXW-Z100 and the FDR-AX100 4K handicam. Every so often a camera comes along that changes the goalposts, the Panasonic HC-X1000 is one of these cameras. If I am totally honest until the AF101 three years ago Panasonic was not on my radar. 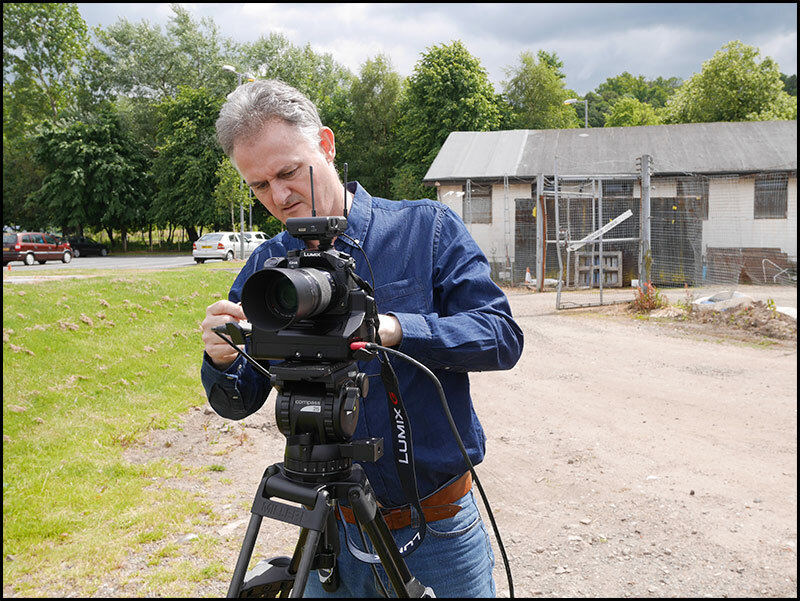 Most of my colleagues within the Glasgow-Stirling area have all been Sony owners till the latest crop of Panasonic cameras, now the balance has moved over to owning PX270, AC160, AC130 and AC90’s within the last 2 years…why the dramatic shift. Two reasons…Sony have produced a load of cameras over the last 2 years deciding that we were all going to buy them, but the over priced SxS media that plagues the more professional end of Sony’s camera range and the lack of dual card slots (early models) has been a major turn off. Panasonic scored a goal two and a half years ago by not only introducing dual card slots in all models but standardising on SD cards for their media leaving expensive P2 to the broadcast end of the market. Sony’s XQD started off as a domestic format but has been taken over by the professional side with the dissadvantage of professional pricing further ailenating the user who just wants affordable easy to buy SD media. Enter the latest offering from Panasonic the HC-X1000 once again sticking to SDXC cards allows the user to produce 4K 50p pictures that downscales to 444 10bit on an HD timeline. 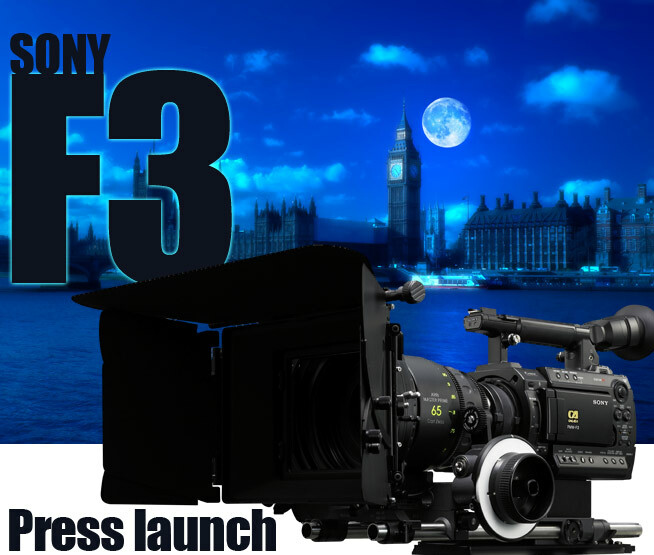 Who delivers in 4K……..no one but large budget filmmakers and video trade shows like BVE, so what’s the point in 4K, the answer lies in the way 4K gets compressed to HD once again till the advent of Sony’s F5 and Red One no one could produce 4K 50p without spending a fortune. So why would anyone buy a 4K camcorder like the HC-X1000…simple…it’s 4K to HD is simply stunning, finally we are getting a glimpse of whats on offer over the next few years and delivering in 4K is not what the x1000 is all about. A 3840 x 2160 picture is 4x bigger than HD which is why the original 420 8bit converts to 444 10bit compressed onto an HD timeline…not a quality many of us have seen from a £2300 semi pro camcorder. Just under two years ago I was banging on about all cameras having a minimum of 50MB/s as most cameras were stuck on 28-35MB/s, now we are getting 4K 50p 150MB/s cameras. The first of these amazing 4K SD media cameras was the Panasonic GH4 once again with stunning 4K internal footage recorded onto an SDXC class 10 speed 3 card but sadly stoping short of the magical 50p frame rate. Panasonic are proving SD technology is up to the mark way beyond their competitors, building on a customer base who have been crying out for low cost media, dual slot simultaneous recording and bigger optical zoom lenses and the best of it is a magical new formula that allows stunning HD footage from an 8bit 420 camcorder thanks to 4K 50p @ 150MB/s. Pre Record in both HD and 4K giving you a 5 sec buffer at the start of every recording. Simultaneous dual record mode, very useful for back up. Synchro scan via shutter speed (Starting at 1/50 scroll down to 1/6 then the next position will be 1/50.1 you can dial out annoying monitor flickering. Lastly if you want to switch off the blue ring light go to Other Function down to Ring LED (Blue) and switch it off. PS. 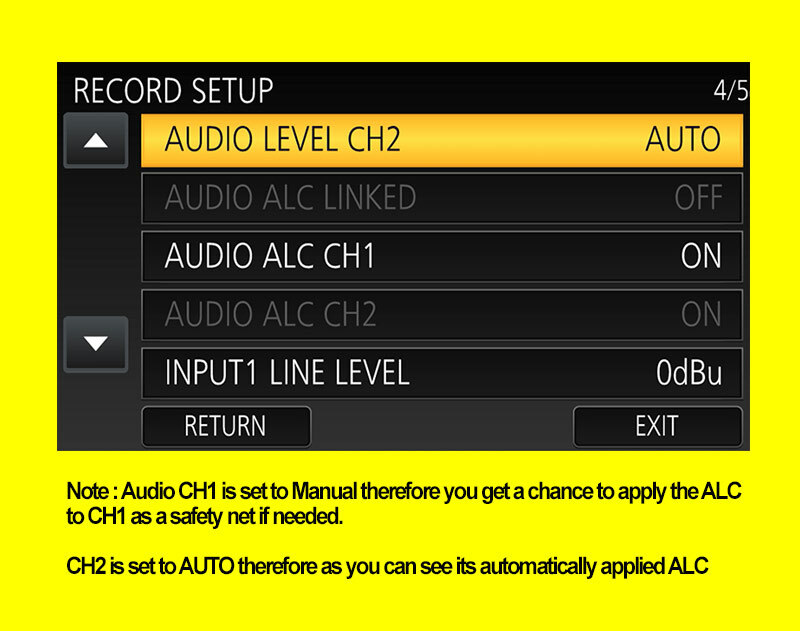 One of my readers asked me about the sound “can you switch the sound to Audio Auto Gain” this is menu driven in the Record Setup menu, scroll down to Audio level CH1 or CH2 and switch to AUTO or Manual. You also have the ability to switch the ALC ON & OFF separately. I tested this with the AUTO set to on and using a RODE reporter mic did a horse racing commentary raising my voice up and down with no apparent detection of the sound pumping. It’s called “Not followed to completion” a new game employers are playing to avoid payment and can I say at this point its not just the wee chancer its large organisations as well. Here is the scenario…You are called into a meeting and agree to film or photograph a set subject, turn out, shoot, edit and present your work to the company, no reply or correspondence for a month then you finally bill them for your time etc. to be told since the job had not been followed to completion they are not paying you. 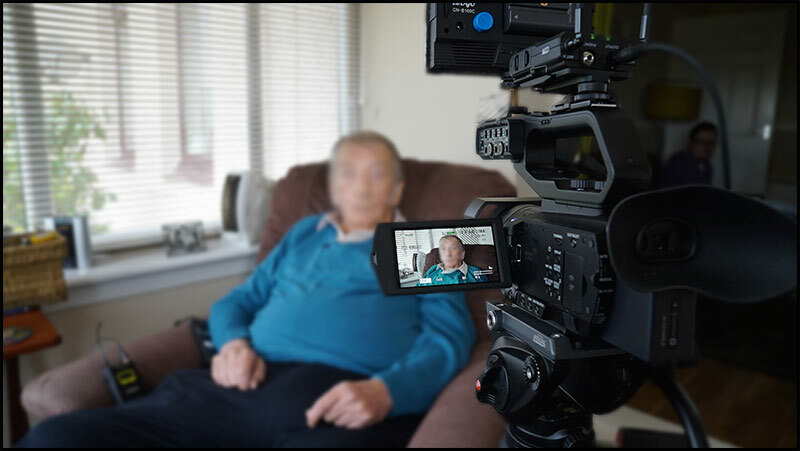 Total nonsense and illegal, if you have been commissioned to film or photograph for someone you are entitled to be paid for time spent on the job both at their premises and editing be-it video editing or photoshop time. 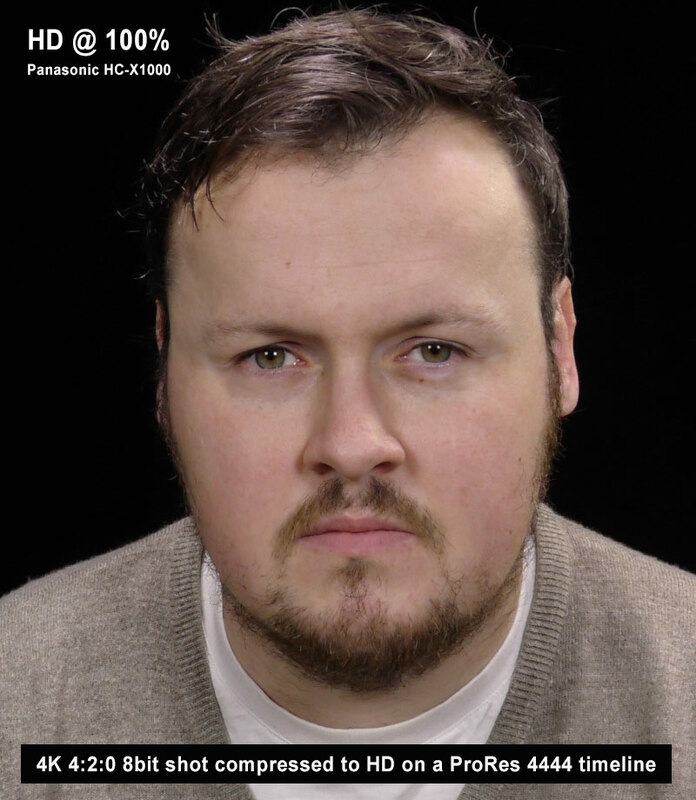 I recently filmed a chap with green screen and prompting for a web site for them to “view” what it would look like so the boss man decided as they were not going ahead with this idea the agreed price was to be cut by 50%…”eh…no that’s not the game plan we are not a charity”. Fortunately I got paid for both jobs eventually but this is my top tips for anyone called into a meeting even if you have worked for someone for ages don’t take their word as a bond. 1. Make sure from the outset you know why you are being involved telling them you will be sending them a bill for time spent on the job. 2. Get it in writing and a signature if possible that they agree to pay a set sum of money if its a job you can agree a price up front. 3. 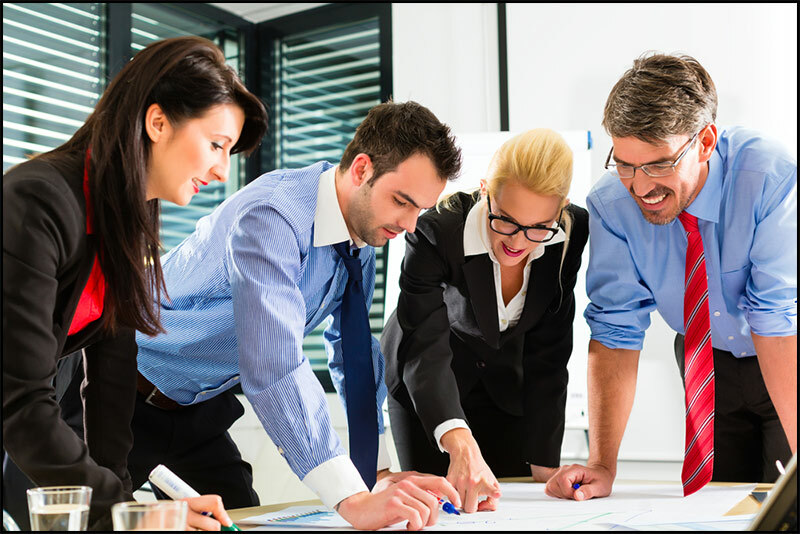 Keep a note of time spent on the job from filming, editing, prompting, meetings etc. As a production company we don’t do work for nothing, time spent on a job is payable no mater what the outcome so beware of the new austerity scam that certain companies are playing.